It's that time again - it's Football Friday!!! This has been a great football season so far. My team is doing good and our tailgates have been incredible - lots of family and friends (old & new)! 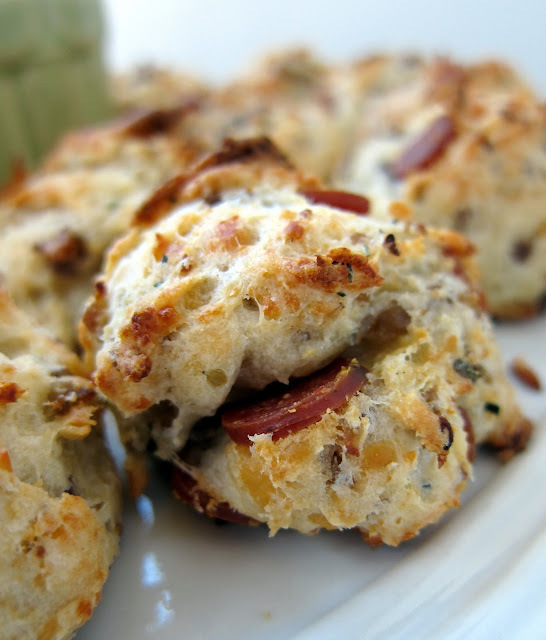 A few weeks ago I shared one of my new favorite recipes, Sausage Cheese Puffs. I absolutely love them- they are so easy to make and a real crowd pleaser. As I was stuffing my face eating the Sausage Puffs, I thought that they would be good with some pepperoni added and dipped in pizza sauce. I doctored up the original recipe and came up with these Pizza Puffs. They were great! We had them for lunch, and I had enough leftover to eat for dinner another night. Like the Sausage Cheese Puffs, the pizza puffs freeze well. Make a double batch - these don't last long! Enjoy! In a skillet, cook and crumble sausage until no longer pink; drain. In a bowl, combine biscuit mix, seasoning and cheese; stir in sausage and pepperoni. Add buttermilk and toss with a fork until just moistened. Shape into 1-1/2-in. balls. Place 2 in. apart on ungreased baking sheets. Bake at 400 degrees F for 12-15 minutes or until puffed and golden brown. Cool on wire racks. These would be great for a kids party too. Simple and easy to throw together. I can understand them going fast. They look and sound delicious. These look so good! I will definitely try these! They look like just the right thing for tailgating. 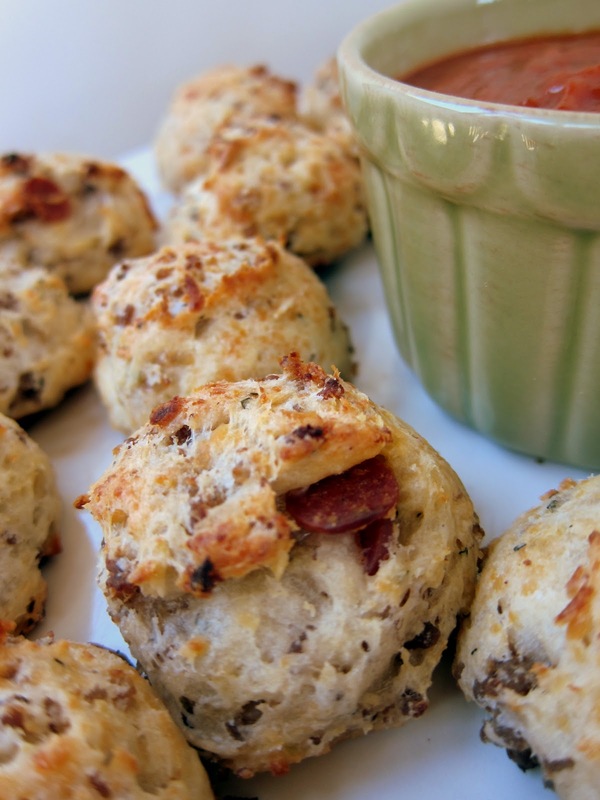 These pizza puffs sound so delicious, even better than the sausage ones. Just to let you know, I'll be holding a CSN giveaway on my blog next week Monday, so be sure to check back then for a chance to enter. I really like these two photos. Great lighting. I love the old sausage balls, so sounds like a plan to me!! Those mini pepperoni are a great find. They work well with pizza and in dishes like this awesome one. Those tailgate parties have been incredible because of all the wonderful things you've brought. These look amazing. Wouldn't last long around here. I made these for a Halloween party this past weekend. They went faster than the real pizza on the table! I'm new to your blog and after making these little yummies tonight I am definitely hooked! I'm thinking bulk Italian sausage and muenster cheese(tastes like fontina but 1/4 the price) . Next time I make spaghetti sauce I'll make extra for dipping! I can totally see these for the husband's next football party!